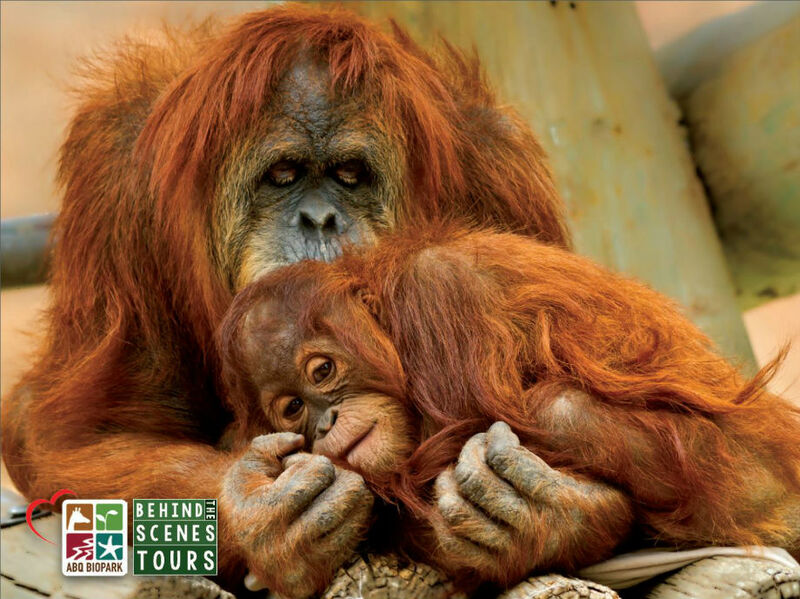 See the great apes like you’ve never seen them before. Your zookeeper guide will take you backstage to meet the unique members of the BioPark’s great ape groups. Saturday, April 27 @ 1:15 p.m.
Saturday, May 25 @ 1:15 p.m.
Saturday, June 22 @ 1:15 p.m.
Saturday, July 27 @ 1:15 p.m.
Saturday, August 24 @ 1:15 p.m.
Saturday, September 28 @ 1:15 p.m.